Kanye West demanded his dressing room carpet be ironed on the Later . . . with Jools Holland show on Tuesday because it was too bumpy. Kanye West demanded his dressing room carpet be ironed. The 36-year-old rapper ? who welcomed his first child, North, into the world with Kim Kardashian in June ? caused a stir on the Later . . . with Jools Holland show on Tuesday after he made a series of outrageous requests before taking to the stage to perform. After turning up for rehearsals in Maidstone, Kent, in the UK, the star was less than impressed with his studio set and screeched at staff to tear it down and rebuild it to his original plans, before insisting everything in his dressing room be replaced in the colour white, including the walls, sofa and flowers. 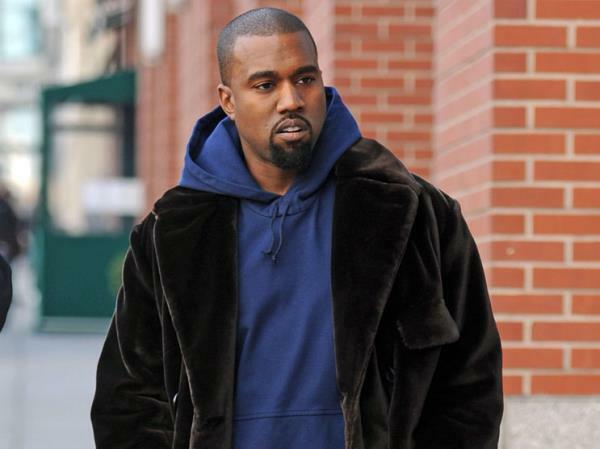 The Black Skinhead singer joined Sting and Kings of Leon on the show, but Kanye was adamant he and his huge entourage should be given more than half of the 15 dressing rooms available to the performers. However, he really shocked BBC employees when he asked for his carpet to be flattened out with a heated tool as it was too bumpy for his liking. A source told The Sun newspaper, "Everybody knew Kanye's reputation for being a handful, but nobody had heard of a request for a carpet to be ironed before. "His entourage took over the studio, even though plenty of other stars were present. "Luckily once he got to the performance he was very quiet and unassuming."